Apr 7 Where are you going? Where do you go? Editor's Note: This post is a part of the larger Torrey Gazette's "Creation Week." Multiple opinions are being expressed throughout the week and reader participation is encouraged. Some of you might recognize the title to this post as lyrics from an old Dave Matthews Band song. In writing about creation and evolution the only words that came to mind stemmed from that old song, "I am no superman. I have no answers for you." My discussion here is not meant to be a final answer. It's merely a story. It's where I have been and where I am going. I'll try to write something more technical on Friday. In the beginning I was a Young-Earth Creationist (YEC). I was raised in Southern Baptist Churches my whole life. What was I to do? In some circles to thinking differently is to be told "Sit down, you're rockin' the boat" and not in the musical sense. I do not remember much direct teaching on the issue of creation but I certainly knew enough to know that six days meant six days and that is all that there was to it. I would say that this blissful ignorance continued until I was a sophomore in college. As all great electrical engineers do I took British Literature. It was a pretty awesome class. Had I any sense I would have recognized the telling infatuation with literature and reading. 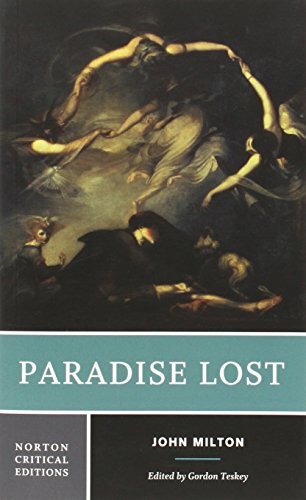 I discovered a great affinity for John Milton's Paradise Lost. I was only supposed to read a couple chapters but read the whole thing. As a breed "Bible kid," I was sure I would understand everything. I found myself engaged with a thorough representations of the entire Scripture. Not only that but I was engrossed with the poetic and imaginative elements of Milton. He was a genius and his work left me asking questions about the early Genesis account. Not in what was written but what was not written. A careful study of Genesis reveals that much is not written. In fact the majority of the Old Testament is a testament to a lack of thoroughness. Only the essentials are recorded. These passages have a purpose. They were not recorded for historical value but theological value. The covenant people profited from them. I was not mature enough to take the bait and begin to study. I was merely dumb enough to be asking the right questions. It would take awhile for me to come around to actually studying the issues. Over time I grew out of being a Baptist. Discrepancies count and ultimately I was rejecting the fundamentalist teaching of my youth. In a recoiling concern for my faith I studied the reformation and their theologies. I found Luther. I found Calvin. I found a host of ramifications for every little doctrinal change. This was especially true as I found myself studying Michael Horton. 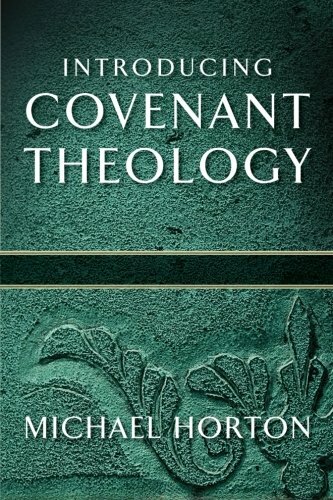 I began to address the issue of Meredith Kline's covenant theology. I was unaware that I would ultimately rejection Kline's view. Yet, it impacted a lot of my early understanding. It also went well with my study of Luther's theology. He too remains a huge part of my life. Through this I began to uncover Kline's framework theory. This view looks at Genesis 1 as a literary device. Not that Genesis 1 does not report actual history but that history is not the purpose of its report. 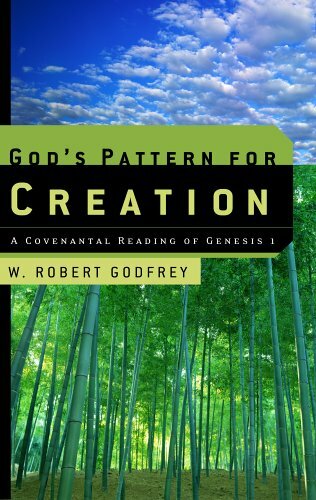 The ordering and structuring of Genesis 1 is more about an overarching theology not merely science and history. This struck a chord with me because of my previous encounter with Milton. At the time I had bigger fish to fry. Kline's understanding of the Mosaic Covenant had my attention and the framework theory just seemed like funny business. Everyone knew seven days meant seven days and I would get around to dealing with this issue later. But in God's time "another time" is rarely when you think it will be. Fortunately it came at a rather good time for me. I was at a Ligonier National Conference and walking through the book store. That first time through I always relishing the thought of reading something while on vacation. So I spied a small little book and made it my first purchase of the weekend. My love for the reformation had blossomed into a love for church history and it was inevitable that I would take a liking to Robert Godfrey. His name was on the cover of a book on Genesis 1. God's Pattern for Creation was mind blowing. Sure, I had seen Kline but this was Robert Godfrey. This man was speaking at a Ligonier Conference and his book was on sale. I suddenly felt very confident that rejection a literal seven days was not the end of my concern for historical theology or love for the Scripture. With many respects I should have known this via Meredith Kline but once again I was a little slow. Despite growing in my understanding and defense of the framework theory (something I still hold mildly) I had not given up my understanding of YEC. I was concerned still with other things and unfamiliar with the fact that the framework theory opened up the avenue to Old-Earth Creationism (OEC). Only my slow study of genetics, geology, and astronomy would get me to that point. It was a gradual realization that I no longer needed the earth to be young. My understanding of Genesis 1 permitted me to accept the scientific theories of an old earth. Without realizing it I had left behind a very large portion of my past. New questions were arising and I had no answers for them. In fact I was not even sure where to ask. As with every other stage in this development a long gap occurred before I began to put together more pieces of my creation puzzle. Though a convinced Presbyterian I was teaching a lot at the baptist church we were attending. These duties kept me focused on textual study and fewer studies on specific subjects. With interest in teaching a class, I developed an affinity for studying apologetics (which I gladly outgrew) with inane amounts of William Lane Craig and John Lennox. One video of Lennox in particular struck me. Lennox was speaking to promote his book Seven Days That Divide the World (Despite being on my bookshelf I have yet to read the book). The video was enough to get me asking questions about science and Genesis. What did Genesis say? And what did it specifically not say? Milton was coming back. My freedom in the framework theory was acting as scaffolding. Did animals die before the fall? Why are there little elements of Genesis 1 that speak to biological development post creation? What important details are left of the Genesis account that scientists would be eager to consume? The race was on and I was hooked. I wanted to know what I thought about Genesis 1-2. Primarily because it remains a hermeneutical issue. How one begins to read a book highlights how one reads the entirety of the book. Sadly some conservatives have taken this to the extreme and said "read Genesis 1-2 literally or you cannot read Jesus Christ as literal." This is nothing short of fear mongering. Many who do not read Genesis 1-2 literally do read the Gospels literally. This might seem inconsistent to some but it nevertheless is true and common. That this has become a rallying crying demonstrates a precarious faith that is not built on the Scriptures themselves but man's understanding of the Scriptures. A little peeved at some of the responses I was seeing to Lennox, I read Ronald Osborn's Death Before the Fall (review here). I even enjoyed an early section of Niehuas's Biblical Theology: The Common Grace Covenant (review here) and his arguments for OEC. Slowly my understanding of OEC and the freedom it allowed me expanded. Animal death before the fall made sense. From this perspective, YEC seemingly stipulated a greater evolution after the fall than anything Darwin could have thought. The evidence simply was not there to support the residual crumbs of my YEC thinking. 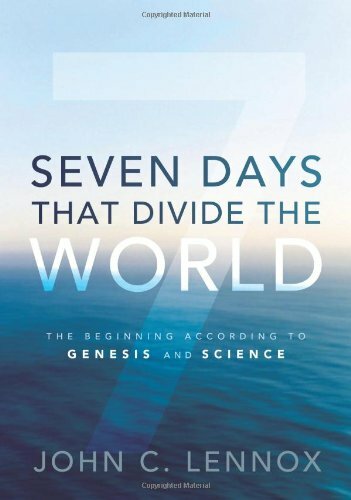 My understanding of Genesis 1-2 had begun to shape my acceptance of certain scientific points. So where do I stand now? After reading a wealth of information on creation and evolution I think I might have finally found my feet. That is not to say I am not moving but I know where I currently stand. I affirm an old earth. I do not know how old it is. I affirm that Genesis 1 is not depicting a chronology of events. For Genesis 1 I would lean more towards a temple inauguration perspective. I affirm that Adam and Eve where historic people. I believe Adam and Eve were responsible for a punctiliar event that ruined God's relationship with all of mankind. Anything more than that is currently up in the air.